In November, the Paris-based Bureau International des Expositions (BIE) will award the World Expo 2025 to one of four cities: Paris, Osaka, Ekaterinburg, Russia, or Baku, Azerbaijan. For Osaka, the next 11 months will be spent on all manner of public relations efforts at home and abroad, via Japan’s embassies and major business lobbies, to overcome the Paris bid in particular. It will not be easy. Paris can count on most if not all of the Francophone Africa votes, plus wide swaths of support among the 170 BIE members. A technical evaluation committee will visit Osaka within the next few months, and while the members are expected to give the expo plans good marks, that’s only half the battle. One, and perhaps the main, key to success is the personal lobbying of BIE members. Aware of the challenge, Osaka’s supporters recently met with Ole Philipson, a former BIE head who remains very influential, and Claude Servant, a well-connected expo consultant, to solicit their advice on how to do that. Successful lobbying also includes convincing the BIE over the course of 2018 that Osaka has strong national backing for its bid, both financially and in terms of broad public support. If Osaka’s bid image among BIE members is that it’s basically just a money grab by a clique of elderly men in Osaka’s business and government circles, it’s likely Paris will be popping the champagne corks when the winner is announced. The Diet is expected to pass a bill in 2018 establishing how casino resorts are to be run and under what conditions. While several localities have expressed interest in hosting one of the first resorts when the bill becomes law, Osaka has been more aggressive, presenting detailed plans of what it wants to do. Osaka is likely to get one of the first two or three casino licenses. But who would operate it is unclear. U.S. casino operators like MGM Resorts International have expressed interest, but Hong Kong-based conglomerate Melco Resorts & Entertainment is believed to have the inside track and has been particularly vocal about favoring Osaka. Expect Melco to talk up Osaka further in 2018. Given Osaka’s especially close economic ties to East Asia, along with the fact that Japan’s casinos will be operated in a way similar to those in Macau and Singapore, it would not be surprising if Melco does get the Osaka license. Whether American firms intensify their Osaka lobbying in 2018 — and what promises the suitors make to Osaka politicians and businesses in terms of local employment and support in the name of community development — remains to be seen. Other issues to be discussed by the Diet next year include the gaming floors. Will casino operators have to use a lot of slot machines, especially from politically connected Japanese firms that manufacture them? If so, what does that mean for the ratio of the other games where projected profits are higher? Potential operators will carefully examine the law and do the math before deciding whether the allowable gaming floor mix, size, and local tax conditions make investment in Osaka a sure thing or a sucker’s bet. 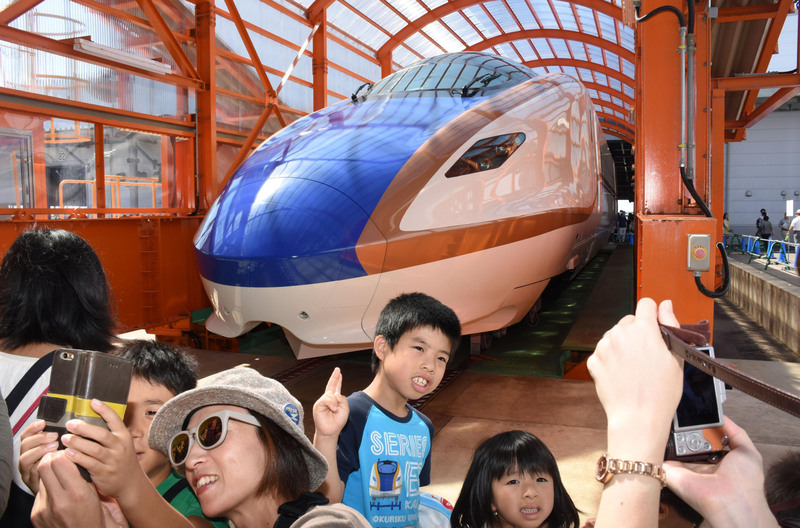 Over the past year, lobbying efforts by the Kansai and Fukui political and business communities to secure Diet funding to complete the Hokuriku Shinkansen Line to Osaka have intensified. The line currently ends at Kanazawa, Ishikawa Prefecture, and is expected to extend to Tsuruga, Fukui Prefecture by fiscal 2022. Fukui is making strong efforts to link it to the city of Fukui in time for the 2020 Tokyo Olympics. After the Tsuruga extension is completed, the shinkansen will head to Kyoto and eventually terminate at Shin-Osaka Station. But Kansai finds itself facing off against Hokkaido for attention from the central government, because the Hokkaido Shinkansen Line is supposed to be extended to Sapporo by around 2030. Generating large amounts of funding for both is problematic. Earlier this month, Kansai business groups vowed to lobby the Diet next year to prioritize the Hokuriku line so the route is completed by 2030, not 2046 as currently planned. 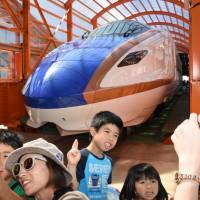 Thus, in the funding battle for local bullet trains, it’s now Kansai/Hokuriku vs. Hokkaido. The winner gets a shiny new train and, it is hoped, a lot of tourists. Expect news of political horse-trading in the Diet, and Kansai, related to the Hokuriku Shinkansen Line in 2018. 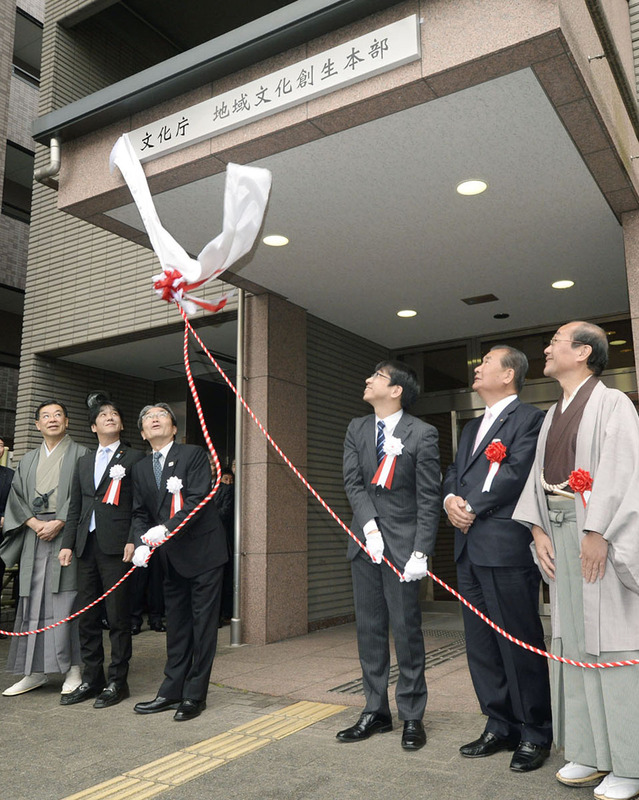 By the end of March 2022, most of the Cultural Affairs Agency, including the commissioner and deputy commissioner, will be relocated to Kyoto. While a few bureaucrats from the copyright and international division will remain in Tokyo, the rest will set up camp in Kyoto, thus enhancing, the city hopes, its national role as a center for Japanese culture. That’s just the start. Kyoto is also keeping an eye on the April 2019 abdication of Emperor Akihito. The city’s long-term plans call for hosting not only the Cultural Affairs Agency, but also members of the Imperial family, and local leaders are being very diplomatic. When it was announced earlier this month that the abdication was set for April 30, 2019, Kyoto’s mayor, governor, and Chamber of Commerce chief were quick to once again express public thanks to the Emperor. The national government and media will spend much of 2018 talking about the abdication and what it means for the Imperial family and Japan. In Kyoto, they’ll be looking at not just how the family’s role might evolve under a new emperor, but where else, besides Tokyo, it might play out long after 2019. 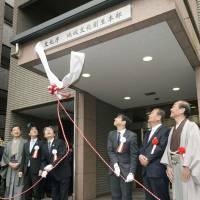 Will Osaka-based Nippon Ishin no Kai clash with Komeito over constitutional reform? If they do, what does that mean for local politics — where the two parties nominally cooperate with each other in the Osaka prefectural and municipal assemblies? Will there be an international backlash against Osaka because of its spat with San Francisco over the latter’s “comfort women” statue? How will the decommissioning of two more nuclear reactors at Oi in Fukui affect the region’s energy policies and economy? Will Kansai leaders be pushed to beef-up security measures in prefectures along the Sea of Japan coast like Tottori, Hyogo, Kyoto and Fukui to protect the region from a North Korean missile? These are some of the other key questions the region is expected to debate in 2018.